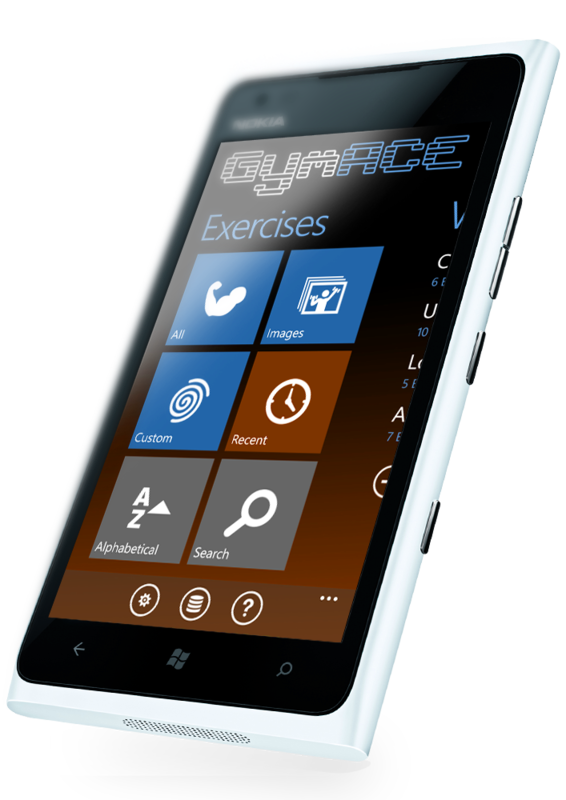 GymACE is the best workout tracker app designed for Android and Windows Phone. 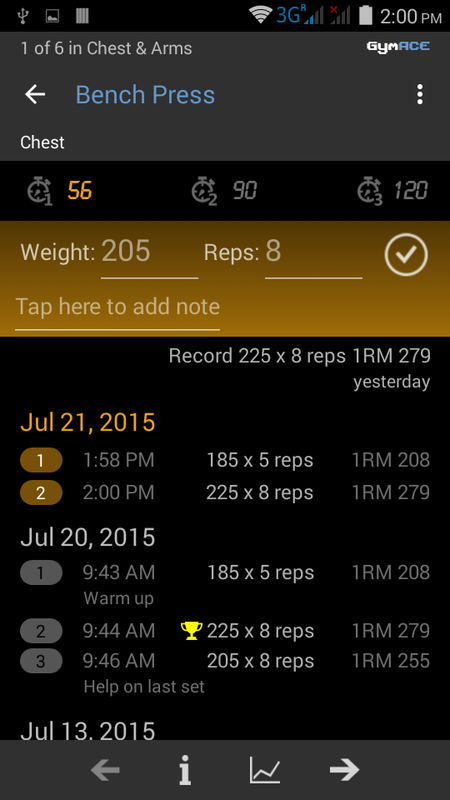 Your personal workout log for strength training and bodybuilding - with or without weights, at home or in the gym. 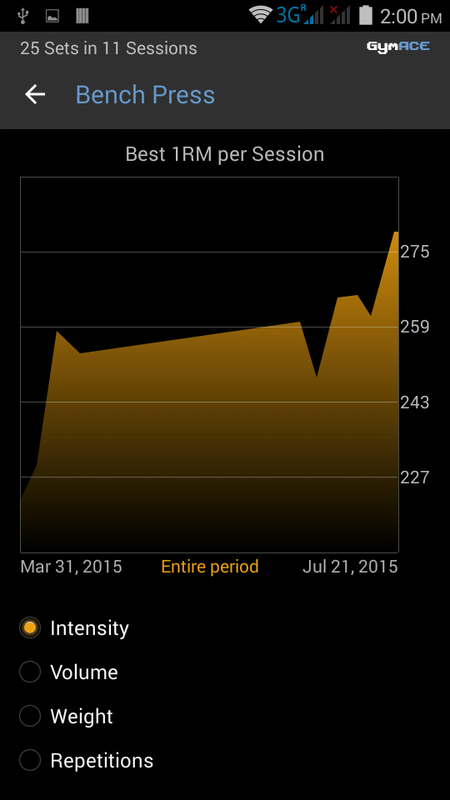 Exercise and session data such as volume and intensity, weight and repetition charts. 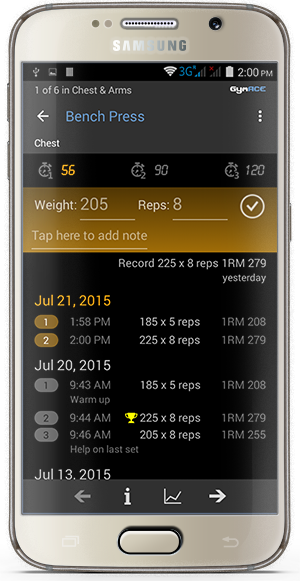 Shows your previous workout results right on the input screen, so you know what your goal is - no searching, no tabbing, it's just there. Try to beat your all-time best, which it celebrates by flipping the screen and a selectable sound such as a fanfare. Three countdown timers to monitor your rest periods. They beep independently at any duration and can be set to start automatically when you enter a set. Post your session report on facebook or send it via email, to friends, or to yourself. 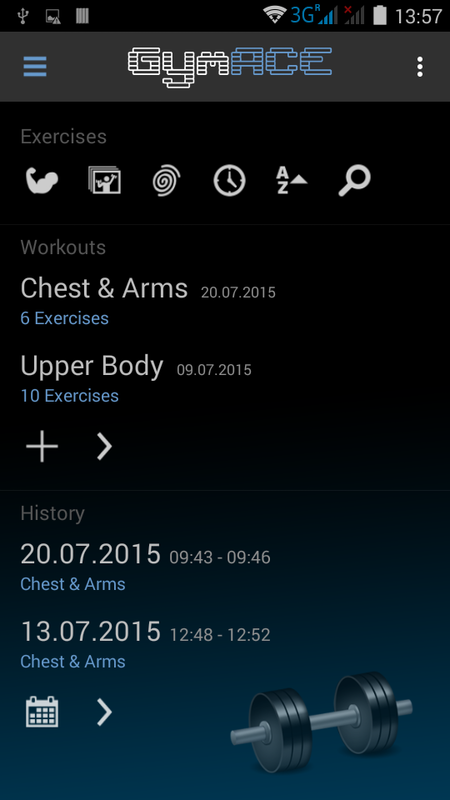 Define your own workouts with your own exercises in your preferred order. Use the built-in categories or define your own. In addition to English, German, Spanish, French and Russian, you can rename all built-in exercises and categories. 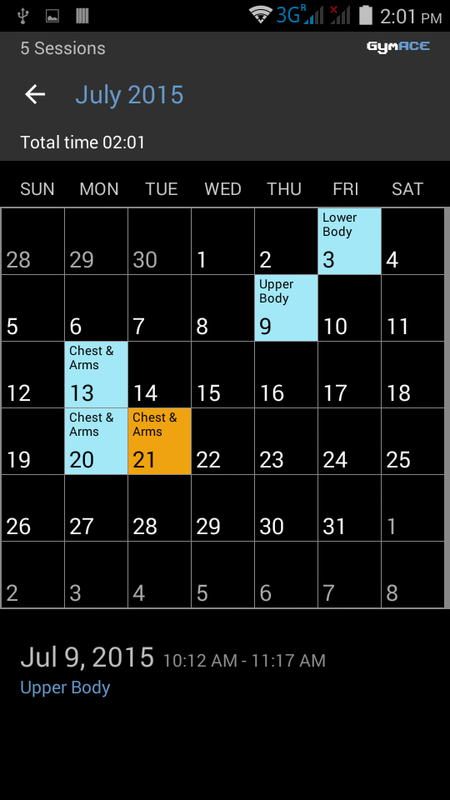 View an entire month of workouts at a glance. Supports nightly sessions without getting split at midnight. Backup and restore via OneDrive on Windows Phone or Google Drive on Android. Export all data in a .CSV file for further analysis. 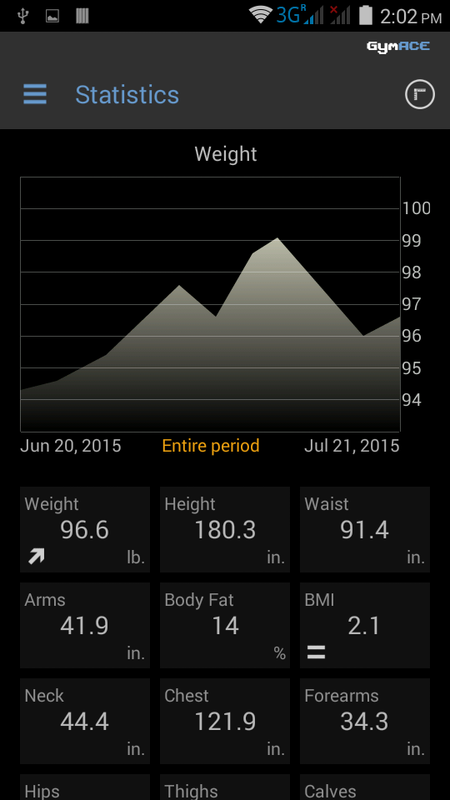 Tracks and graphs your weight, body fat, BMI, and lean body mass, or anything else that can be expressed as a number including body measurements and supplement intake. Connect with Withings and automatically download weight and body fat data from your Withings body scale. As simple as it is to use GymACE, do not underestimate the critical role this can play in maximizing your training efficiency and productivity. It is not enough just to train hard. You need to train hard with a target to beat in every work set you do. The targets to beat in any given workout are your achievements the previous time you performed that same routine. 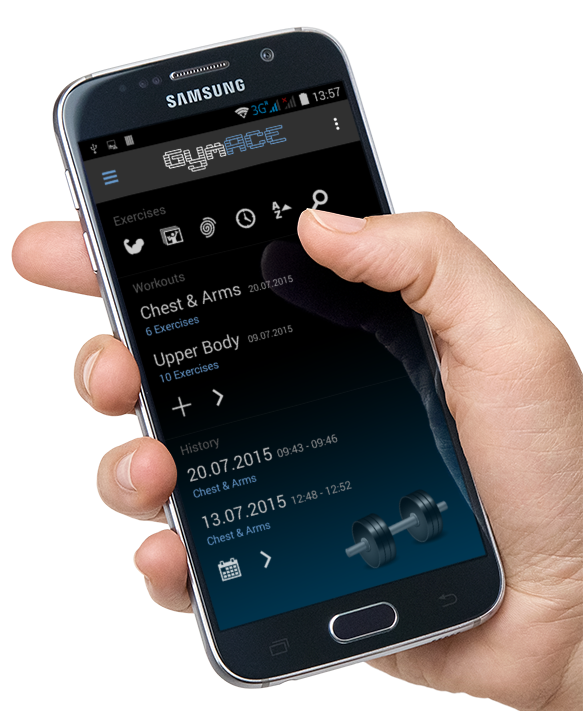 With GymACE you have a detailed record of the evolution of each training program, and of your training as a whole from year to year. In addition to control over the short term, this permanent record will give you a wealth of data to analyze and draw upon when designing your future training programs. Either create your own exercises or use exercises from the large integrated database. Or a combination of both. You can even define custom categories. Flexibility is king. See exercise images right from the training page at a quick glance. If you don't need it, they do not interfere. Rename or hide single or all integrated exercises. Or switch off the integrated database completely and only use your own custom exercises. Link custom exercises to images and descriptions of the integrated database. 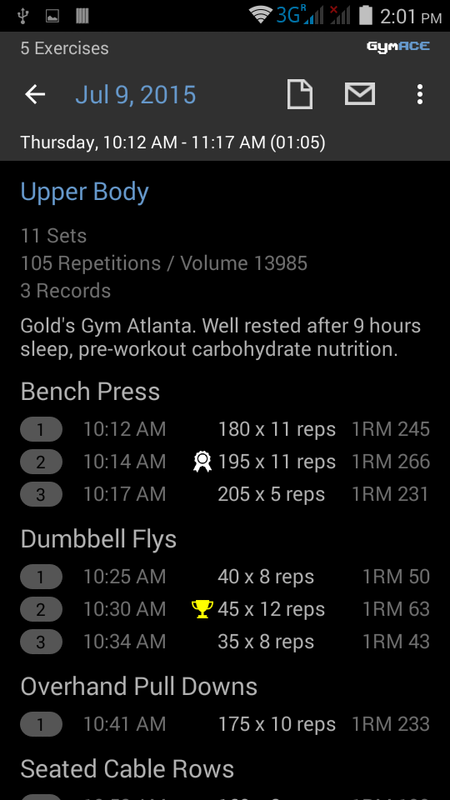 The main principle of weight training - gradual increase of weight/reps - is beautifully nailed down when the app congrats you with your next advance. 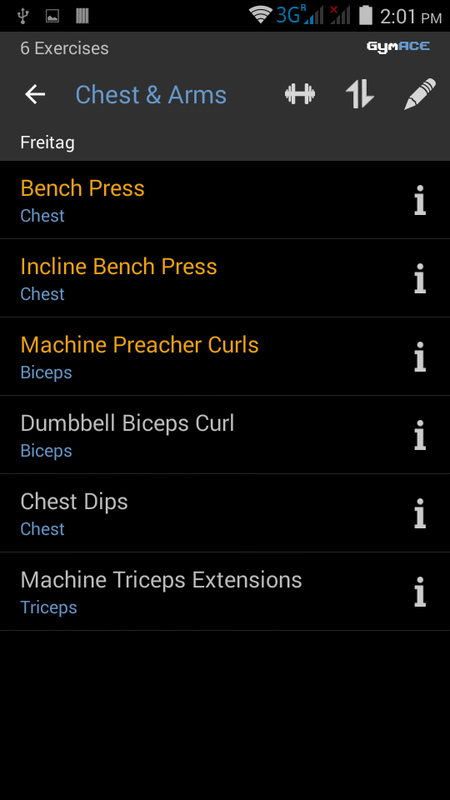 This is the most useful gym app that I've seen on Windows Phone 8 to date. And I've tried a lot of them, both free and payed. This is so good daaam good and simple program to use in gym. 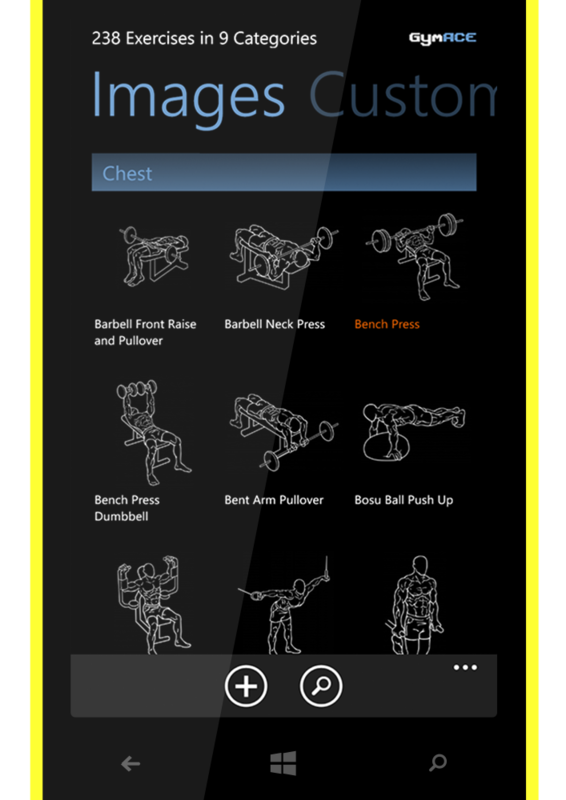 Best gym app out there! Love this app. Don't know how popular it is, but it's my favourite. Couldn't do a 5-day split without it! Get the latest news and information about GymACE on our Facebook page. Copyright © 2018 Appatary. All Rights Reserved.